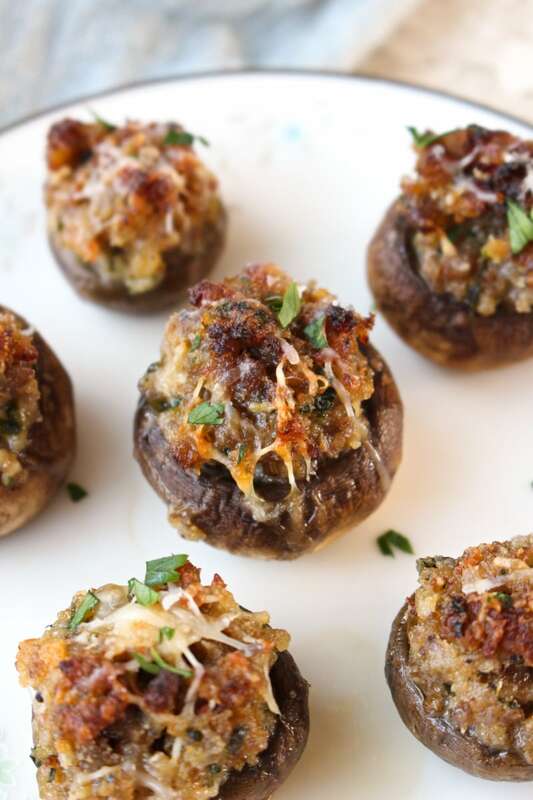 The Best Sausage Stuffed Mushrooms are cheesy and tender on the inside and have a golden crust on the outside. This recipe is a classic that you will want to make again and again! 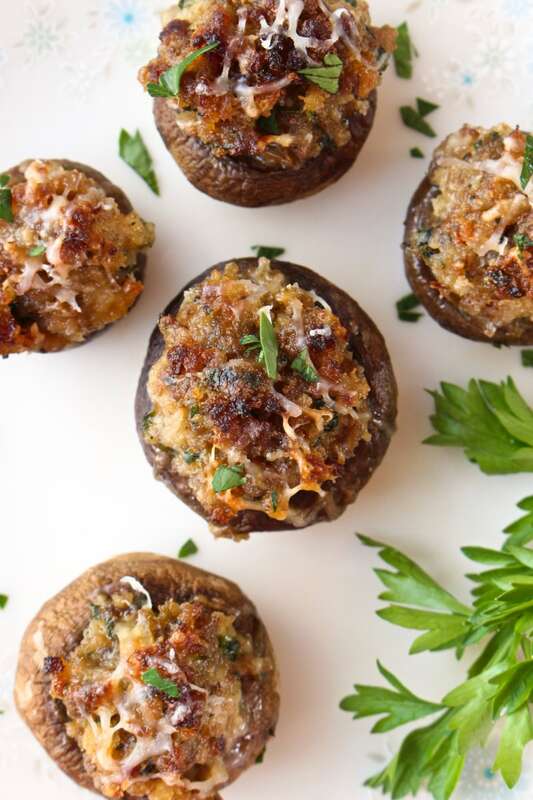 Stuffed mushrooms are such a classic appetizer, don't you think? Earthy mushroom caps serve as the perfect vessel for a flavorful combination of Italian sausage, cheese, breadcrumbs, and just a few other simple ingredients. Each filled mushroom cap is truly the perfect combination of flavors in a little bite-sized package. 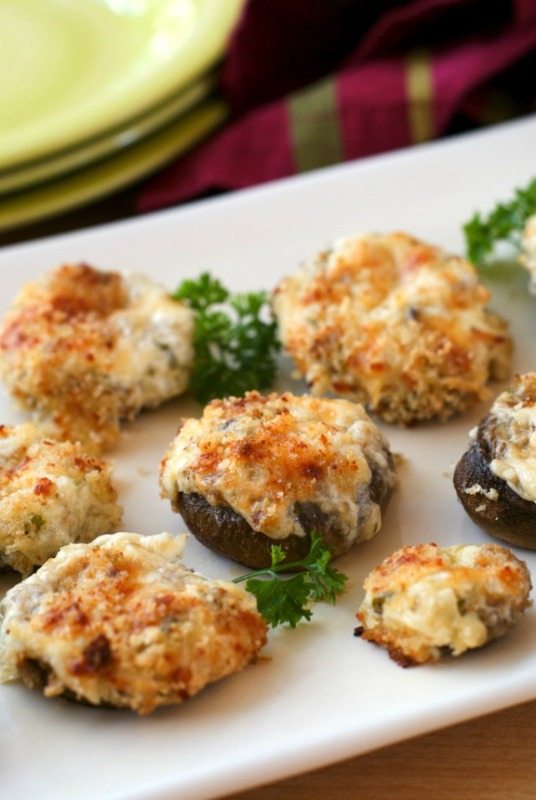 Their supreme pop-ability makes stuffed mushrooms perfect for parties, game day, or holiday entertaining! 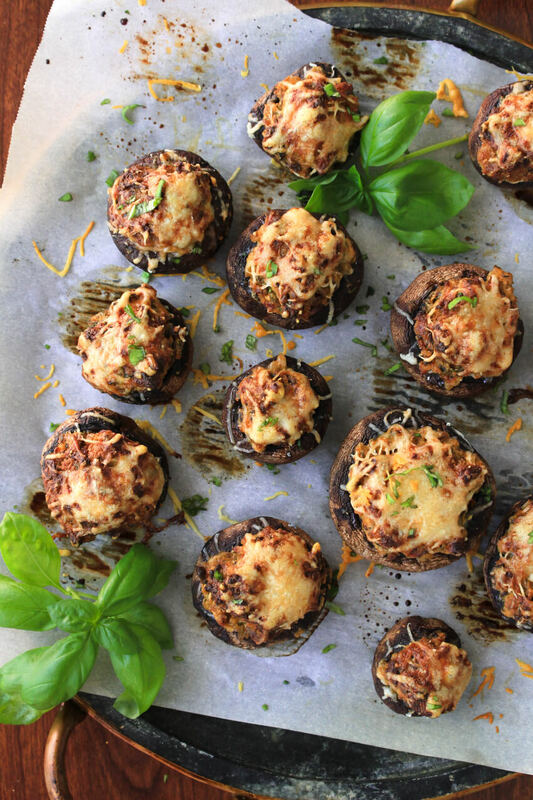 Stuffed mushrooms are pretty easy to prepare, in general. I have made these several hours ahead of time and refrigerated them until I was ready to pop them in the oven. This can be super convenient if you're making them for a party or get-together. No one wants to be doing food prep just before party guests arrive! The most tedious part of the preparation is cleaning and preparing the mushrooms. It's not terribly difficult, it just takes a little bit of time to clean two pounds of mushrooms. Once you get through that, the rest is a breeze. 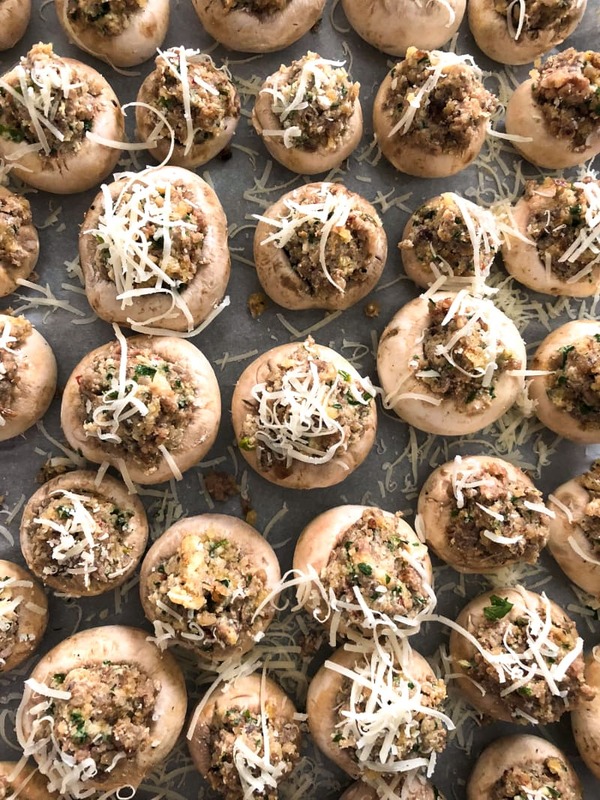 I've seen tons of variations of stuffed mushrooms and even have a few other stuffed mushroom recipes here on the blog (scroll down to see a few). 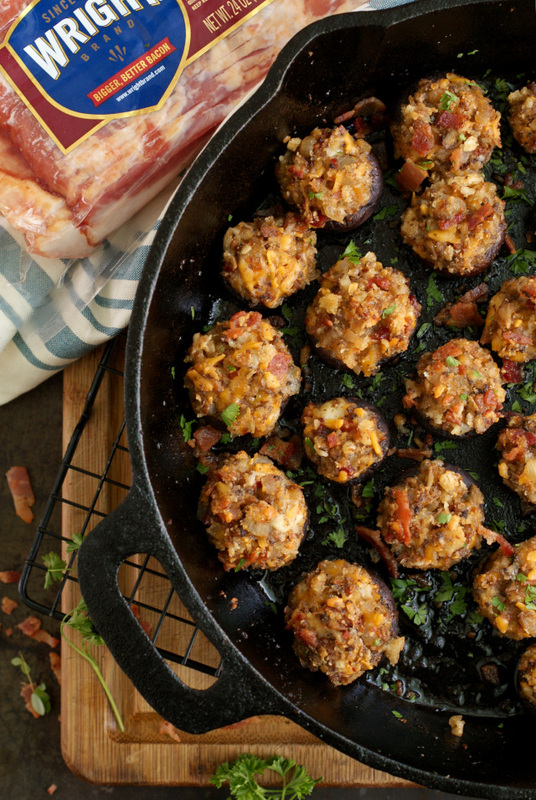 I have to say, though, that I think sausage stuffed mushrooms are the very best of them all. There's something about that golden crusty top and big bold flavor that just calls to me! 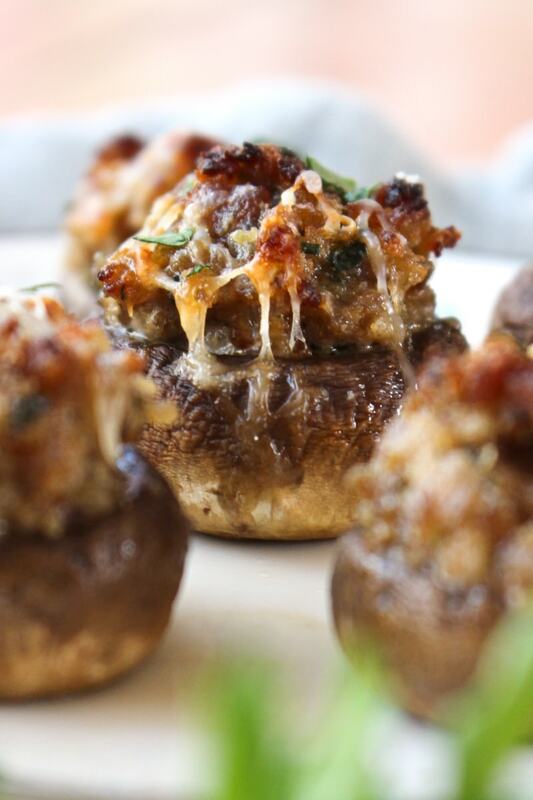 If you're a stuffed mushroom fan like me, I know you will love this sausage stuffed version. 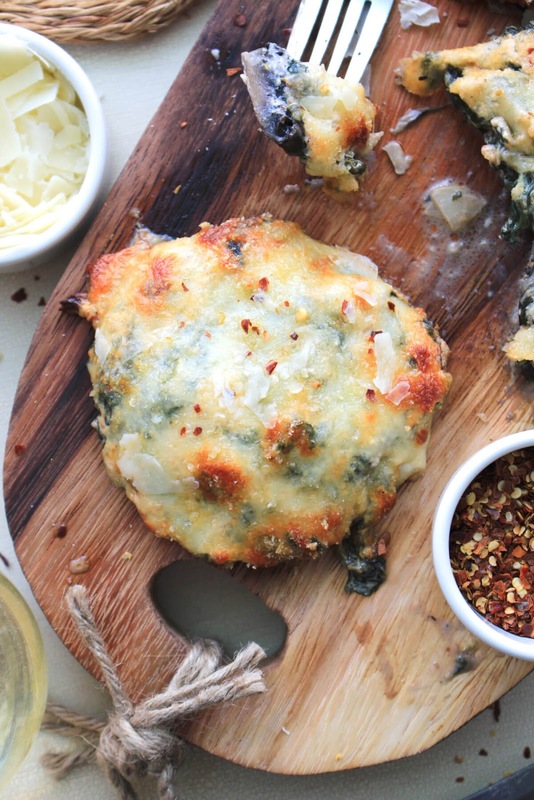 It is the perfect classic stuffed mushroom that you will want to make again and again! 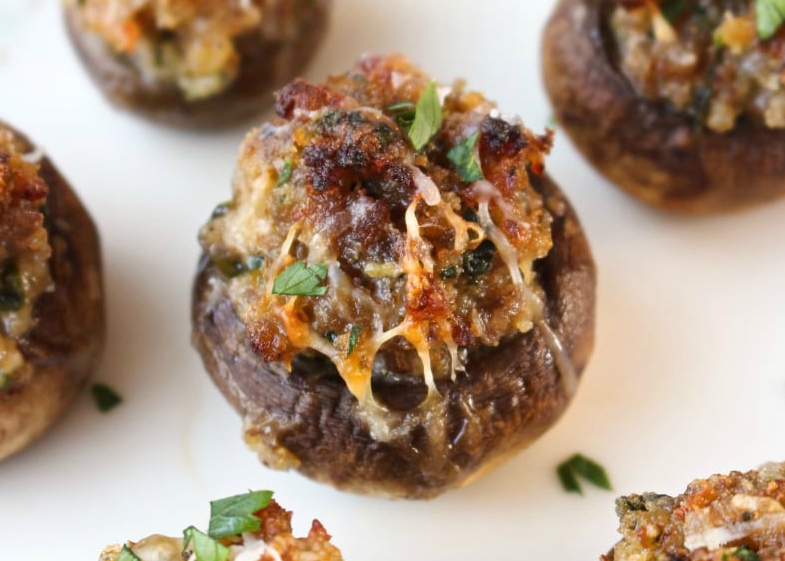 The Best Sausage Stuffed Mushrooms have a cheesy and tender inside and a golden crust on the outside. 1. Wipe the mushrooms with a damp paper towel to clean. Remove the stems and discard. Arrange the mushrooms on a parchment-lined baking sheet. 3. In a large skillet, brown the sausage over medium-high heat. Drain the grease. Ad the green onion and garlic to the pan and cook for one minute. Add the cream cheese, 1/4 cup of the parmesan cheese, panko breadcrumbs, and parsley to the pan and stir until well combined and the cream cheese is completely melted. Remove mixture from the pan to a bowl and set aside to slightly cool. 4. Stuff each mushroom cap with some of the sausage mixture and top with the remaining parmesan cheese. 5. Bake in the preheated oven for 15 minutes.